Wield your cards and clubs as you enjoy a round of solitaire. "Fairway Solitaire is a fun game but also one that takes a bit of skill and logic. Be careful, this game is so much fun, it is hard to leave it. You have to keep thinking and be knowledgeable of the cards you have and how to get the most out of them. Try this game out, and I believe that you will agree with me -- you will just have to have this game!" Pull out your clubs - and your diamonds, hearts and spades - and enjoy a round of Fairway Solitaire. This exciting card game includes 70 unique courses in locations ranging from exotic forests to Scottish highlands. Choose your golfer and experience realistic golf commentary, hilarious wild shot cards, and three fun mini-games. This is an excellent solitaire game for card game fans of all ages. Well worth the cost and a lot of fun to play. Will recommend this game to friends. A clever, little game that makes you think, but lets you play without mind-numbing concentration. This is the best solitaire game I have played in a long time. I would like to see more games like this. It is so fun to play. It's fun to try to beat the gopher and all the other things that get in your way. 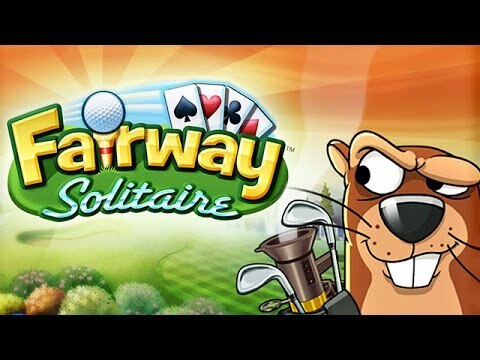 Fairway Solitaire is a great solitaire game with lots of challenges and good graphics. I play it almost every day. A good game to pass the time. Can get a bit addicting. Everyone in my family can play it, even the kids who love to smack down the evil mole. Lots of courses and cups to win. Awesome game and challenging. I found it quite addicting and loads of fun. I would recommend this game to anyone young or old. I have always been a fan of solitaire, and when I discovered Fairway Solitaire, I was hooked. I love the interaction and the comments from the announcers. I Love this game and play it all the time. I like this game so much! I play for hours even when I should be doing something else. I enjoy the game, the graphics and the commentators. It was very colorful and fun. Great for solitaire lovers! Would recommend for everyone of all ages. This is an easy game to learn and to play. It is easy to advance to the next level. A good game for all ages. This game will give you hours of fun. Fun to play. Nice background sounds and voices. Love the solitaire that is one card higher or lower.